Navigate to the referral page and fill out your details. The page will reload and display you with your unique referral code/link. This can then be emailed or shared via copy & paste (ideal for copy & paste). Additionally you can ask friends to provide your full name when signing up – that’ll be counted too. Share your code and once your friend has booked a trip you’ll both receive your Amazon vouchers. Get your friend’s referral code from them – social media and email are the ideal ways to share. Alternatively, provide their full name during your sign-up process – be sure to get the format and spelling down. 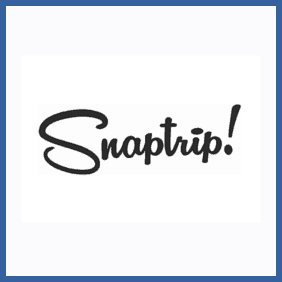 Sign up for a new account at Snaptrip. Book your first last minute UK-based holiday. You’ll now unlock your £20 voucher and your friend’s £30 voucher! I wonder if they might share? Last minute holiday specialists Snaptrip have cottages, apartments and lodges available at up to 60% off all across the UK. Whether you’ve booked a trip with them before or not you can take advantage of their refer a friend deal to get £30 in Amazon.co.uk vouchers every time you refer a friend as a new customer! Your friend will get £20 in Amazon.co.uk vouchers themselves, so if you’ve got pals in need of a British break then get referring.